Akshara Software Technologies is one of the best software training institutes providing Python Training in Bangalore at HSR Layout, BTM Layout, and Koramangala with most experienced professionals. 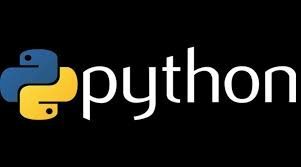 All trainers working in Python and related technologies for more than 11+ years in MNC. We are offering best Python Classes in Bangalore in more practical way.We are offering Python with selenium automation and Python with Django classes in HSR Layout,Bangalore and conducting Python Classroom training in Bangalore, Python Online Training with Zoom Meeting and Python Corporate Training in HSR Layout,BTM Layout,Bangalore. Our syllabus to match with the real IT world from both beginner to advanced level.We conduct Python training in HSR Layout class room and people across globe will join online & conducting in week day ,week end batches both morning and evening batches based on participant’s requirement. We offer course Fee in Bangalore is more competitive and values for what we are covering.We do only Python Real Time Classes in HSR Layout,Bangalore , Python Live Classes , Python Real Time Scenarios& Python Live Projects in Bangalore & Python Training in BTM Layout. What is it good for and not ?